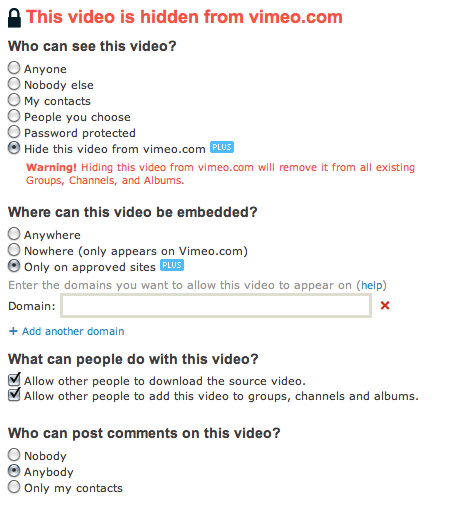 Did you know that Vimeo allows you to make a video private? You can make it so no one can see it, no one can use the embed code except on approved websites, and can even hide it from Vimeo so it is not listed anywhere. After that, you can add your own site as an approved site so that you can embed it yourself. Grab the code, add the video to any page and password protect the page. If you really want it hidden, you could even hide it from the menu on your site using our new hidden page option. Then share the link to the hidden page and the password with a client and they will be the only ones able to see it. You can change the structure of your site and organize it better by grouping pages together. 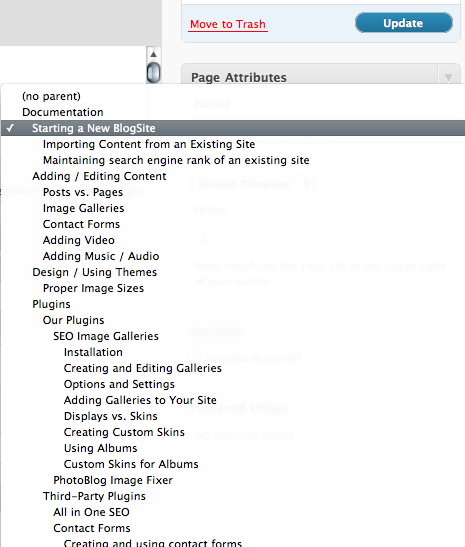 As you edit any page, you can choose a “Parent” page, placing the current page in a group under that “Parent” page. An example of this can be seen on our Support Site, where we use pages for all of our documentation. 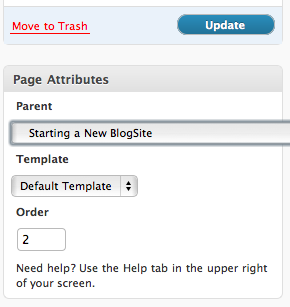 As you edit any page, look over to the right under the “Publish/Update” button for the “Page Attributes” area. Select the drop-down under “Parent”. A menu listing all of your existing pages will appear. You can see by the indentation, which pages are currently under other “parent” pages. Select the page you want to group this one under. After you publish the page, you will see that the pages in the admin area get indented and grouped together the way you sorted them. On the live site, pages grouped together will end up in drop down menus (for themes that use them). WordPress provides some easy ways to embed video anywhere on your site. 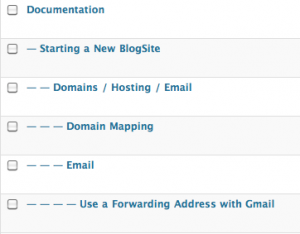 On PhotographyBlogSites, we have provided a few more ways to make it even easier. On the side of any post or page, alongside any text content. Read more about Adding Video to Your Site. 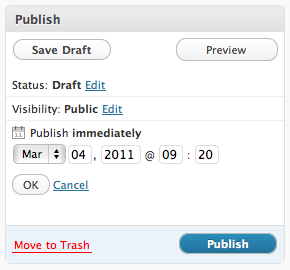 Did you know you can schedule your posts to be published at any time in the future? This is a great way to save time. You can sit down once, right several posts and have them go out later in the week or later in the month. Have an event coming up that you want to announce a week ahead of time? Why chance forgetting to post about it? Write something quick now and schedule it for the right date. 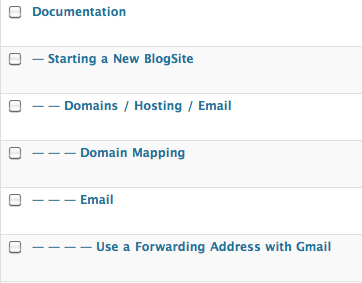 Do a “picture-a-day” blog (or a Tip of the Day blog – hint,hint…) and setup posts for the next week. Do you really think we remember to post everyday? No way. This whole section is scheduled ahead of time. 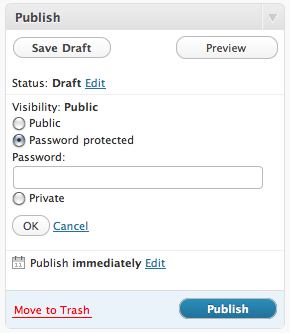 Just like Password Protecting a Post, the settings for scheduling a post are over to the right, near the Publish/Update button. Usually it says, “Publish Immediately”. Click “Edit”. You can select any date and even a specific time to have the post go live. After you set your day and time, hit “Ok”. “Publish” will change to “Schedule”. Hit “Schedule”. All set. Did you know you can password protect any page or post in WordPress? Just look over to the right as you edit any page. Under the Publishing area, you will see a section for “Visibility”. Simply select “Password protected” and choose a password. The content of the page will now be hidden unless you know the password.